One of the big features that web developers will quickly discover with VS 2008 is its dramatically improved HTML designer, and the rich CSS support it brings. 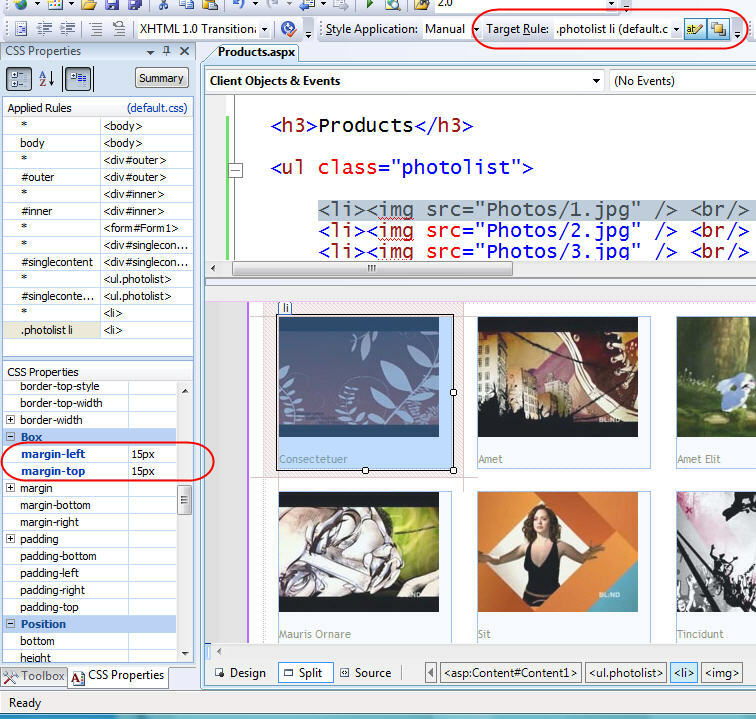 VS 2008 now uses the same web designer that ships with Microsoft's new Expression Web product. In addition to providing lots of new functionality, you'll also find that this web designer is much faster than the VS 2005 version (which was based on a much older code base). For even more tips/tricks about how to best use the "Manage Styles" tool window please read this blog post. When you select an HTML element or ASP.NET server control, the CSS property window will show you all of the CSS settings currently applied to it. You can also change any of the values using the CSS property grid. The "target rule" drop-down in the style toolbar allows you to determine under what rule the settings are applied (read this blog post to learn more about the style toolbar and target rule dropdown). In the properties grid above you'll notice that some values are duplicated multiple times - with red arrows striking out previous values. This indicates that a parent CSS rule setting is being overridden by another CSS rule's value. You can see both the original value as well as the overridden one in the summary view at the bottom. Please read this dedicated CSS Properties Window blog post to learn even more how to use the CSS property window. The HTML designer supports the ability to select an element or control in design-view, and graphically select a rule from the CSS list to apply to it. 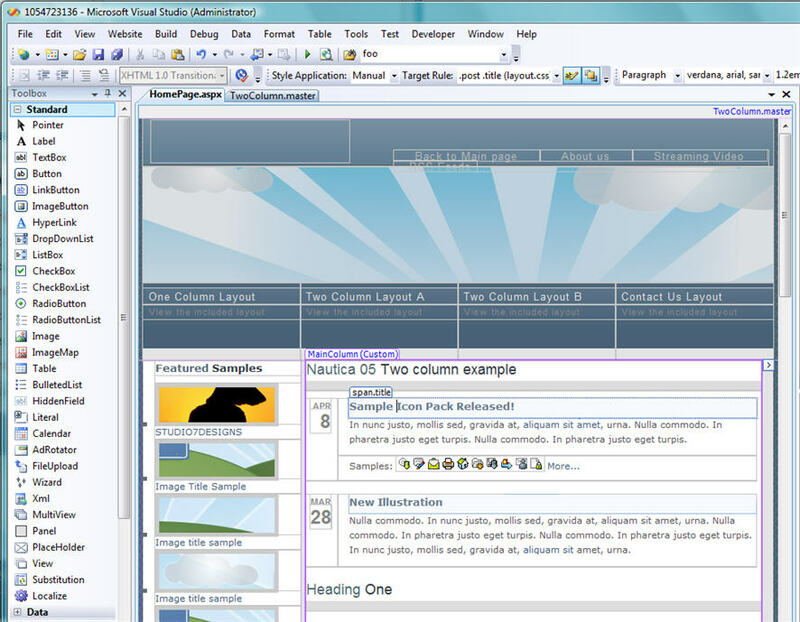 This CSS intellisense is supported in both regular HTML / ASP.NET pages, as well as when working with pages based on master pages and nested master pages. 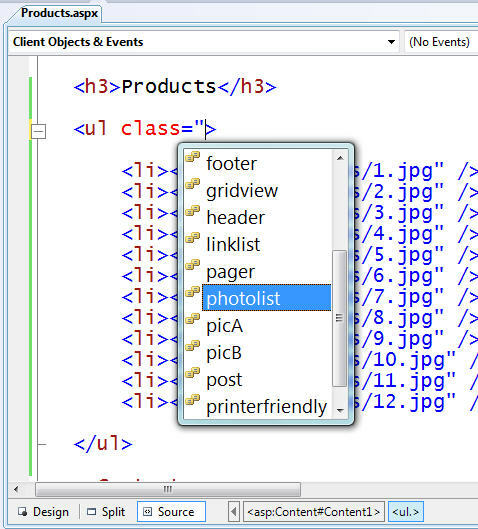 The above post provides a quick look at some of the new HTML designer and CSS tool support in VS 2008 (all of the above features also ship with the free Visual Web Developer 2008 Express edition). Because VS 2008 now has multi-targeting support you'll be able to use these feature immediately without having to install .NET 3.5 on your servers. You can open existing ASP.NET 2.0 projects in VS 2008, have VS 2008 continue to target .NET 2.0 as the runtime target, and begin using these features immediately. Over the next week I'll also be starting a new multi-part blog series that covers the new <asp:listview> control that ships as part of ASP.NET in .NET 3.5. 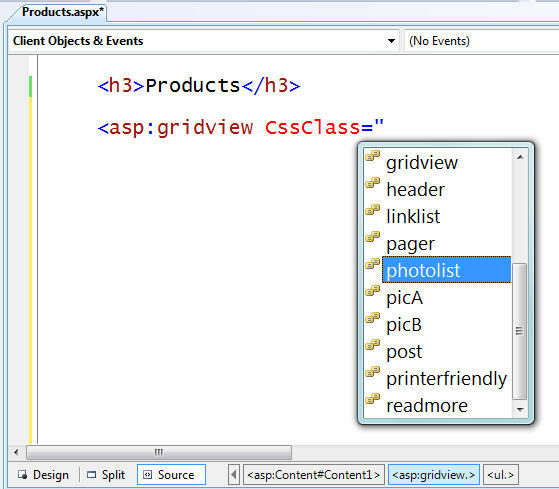 One of the big benefits of the <asp:listview> is that it enables developers to have total control over the HTML output emitted in data scenarios. This works well with all of the new CSS tool features above, and enables you to more easily create great looking web sites and applications. Will VS 2008 support multi monitors for the code editors? Right now there is no way to 'tear' away one code editor to another monitor. You've provided loads of great posts about whats in the next set of role outs for visual studio users. Obviously we've heard a lot about asp:LinqDataSource and the IIS7 pipeline asp.net can plug into. You mention the ListView control, but what else is in for us in asp.net 3.5? (is that the correct version name?) A an overview post on what we should be expected would be really nice. Wasn't full control over html output provided by the DataRepeater as well? How does the new ListView control differ? Thanks for the Updates in the CSS. You mentioned about the CSS Overriding( with red color strike). Will it show the reverse one, because it took a long time for me to find out once in my project. Here Even though I have given a separate class for the TD. 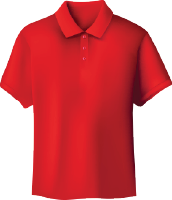 It will not take the styling because of the ".tbl TD". Here the inheritance is reversed. It will take the style of the Table not the TD. Will VS 2008 show this reverse inheritance problems as well? Is VS 2008 Beta2 suitable for starting a new web project for production environments? I mean how stable Beta2 is and when new release will be shipped will be a lot of changes to do in code in order to work with release? This is a really good thing. In major companies this difference will not be felt, because the designers do the hard work but in small companies, this will improve the user experience, allowing the developer to produce more and better in less time. You mentioned about inheritance and Overriding(Red Strike). Is there reverse will work. Here it is taking the CSS for the table not for the TD. very good it's better now. One question though: with all these CSS enhancements, will there be a better way to assign stylesheets to content pages? Unless I've been missing something so far (which is very possible! ), it has always been a little awkward if you wanted a common master page, but with distinct style sheets on the content pages. Hi. I've been using Visual Web Developer 2005 Express and this is a really cool one. I want to try it out. VS2008 is so cool! I'm wating for the beta 2. I have a question about WebPart. What's new in WebPart of VS2008? Will it support templates (like WebPart Components of Fredrik Normén)? I don't use the visual webforms designer a whole lot, I'm the bare markup type of guy, but when I do use the designer, one of the things that get in the way of the final polishing of the design are the extra padding, handles, labels, etc that are there to facilitate insertion. If there was a key combination that could make them disappear temporarily, that would help the final trimming of the layout. Maybe that does exist and I haven't found yet. Interesting. One of the first things I usually do with a new VS install was to default it to "Code" mode instead of "Designer". I might be changing my habits with this one, since I do this sort of split view on the rare occasions I pull up Dreamweaver. Speaking of which, is the a multi-line find-replace in VS 2008? That's one of the few things I use DW for. This seems very very similar to the feature in Sharepoint Designer. Is there any differences in the feature set of the css support in them? Great stuff, it's about time that vs had the same type of functionality as dreamweaver(not that i ever liked dreamweaver!). I think that vs could be in the lead in terms of html and css development. I especially like the CSS Source View Intellisense. another excellent post Scott! you're a machine! so, when will beta 2 be set free? Thanks MS. I can now visually explain to my colleagues css inheritance! Do you know if VS 2008 beta 2 will have a go live license? 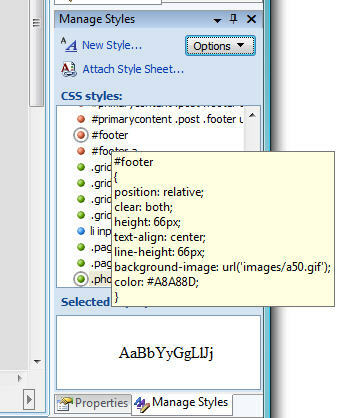 In VS2008, is there a way to apply an attribute to a style sheet? I'm specificly interested in MediaType but there may be other attributes other people would be interested in. It would be nice if you could include multiple style sheets in your Theme, one marked Screen, one marked Print, Mobile, etc. Feature request: Can we have an option on user controls and master pages so that the content of a control or page is indented to the right level in the output. e.g. if I have a nicely-formatted piece of HTML in my master page, then the aspx that uses the master page will always lack the indenting in the final HTML output - so the code is ugly and hard to read when you're viewing the output source. You mentioned that this works for HTML & ASP.NET pages, may I assume that it also works for ascx controls? When designing controls, is there any way to indicate that a certain CSS class is expected to be applied by the loading page, so that we can see the final result of the controls design? Or would we just have to manually add and remove those styles to get the full effect? Thanks. Thank you so much for this features! They have been long running pin point of my development. I have trained myself to never leave the Source view since ASP 3.0 and now I can finally stop abusing my IIS server and Alt-Tab keys to see my changes. It's been great to know the code in and out by now ;] but now I can be so much more productive! + I can finally tell my designer friends that I got something up my sleeves too and they can start using MS tools for my projects either Expression Web [or Express as the least denominator] to style my pages. Will 2008 support all the current CSS properties and will this be extensible as the browsers add more and more CSS3 support? For instance, VS2005 dislikes my "border-collapse" CSS rules, despite this being a valid CSS value. I like the idea of css intellisense! Looks great! I'm looking forward to it! Can you tell us how this works with App Themes? 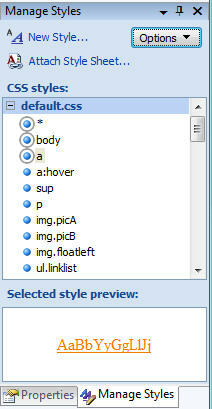 I assume it will work fine if the Theme is defined at the page level, but what if the Theme is selected in web.config? Simply...wow! You can't beat the intellisense for css classes. A dream come true! Good, I see a few elements from SharePoint designer moving over here. Why don't we integrate SPD and VS200(*) ? Intellisense, I can't program in any IDE that doesn't have intellisense, thanks for making our lives easier. I'm a little confused, when to use WPF/E and when to use CSS, I'm working on new apps, and I'm thinking to use WPF/E for the show, but now I have intellisense on CSS. I have a question - does the CSS intellisense show simply all available CSS classes? Or does it filter it to show only those that can be applied to a specific tag? CSS Source View Intellisense! YAY! Anyways... this is REALLY good stuff. It will definatly help the ASP.NET comminity. It has already been mentioned in these comments, but I wanted to add my voice. Please have the option to support multi monitors. What about intellisense and design support for skins as well? Is Silverlight integrated with Visual Studio 2008 beta2? It's a (much appreciated) step in the right direction, but having played with Expression Web - it's still a long way from Dreamweaver CS3. Is it unnatural to love development software. I hope not, 'cause I'm falling in love with beta 2...and I don't even have it yet! Hurry!!! Awesome updates and additions. Can't wait to load it. It's nice to see that VS 2008 is finally catching up to the other leading web authoring tools -- such as Dreamweaver. Multi-monitor support is a must, though. On monitors at least 30" in size does the split view, change to split left to right instead of top to bottom as shown in the screen shot? Cool for VS 2008. I alway see the mess layout in design mode when i use VS 2005. So, did the Frontpage team develop a design view that follows the standards of HTML and CSS 2.1/3? Scott, have you any statistics on how big a percentage of Visual Studio users that actually use the designer? I understand that users of Visual Web Developer Express does, but isn't there a lot more developers in Visual Studio who only use the code view? This will help a lot. Will it follow css standards? Will it interpret the css in a browser specific mode? the ASP.NET teams at MS are always trying harder to get things more standards compliant - and man I am SO excited for this new product... screw Parry Hotter, bring on VS 2008! VS2008 is shaping up to be rather good for the web developer. I'm using Expression Web a little and it's so much easier to use as an editor. One thing, and I think I'm speaking for a lot of people who haven't made the jump totally to asp.net yet, is there going to be intellisense for class asp, and more importantly, classic ADODB. There's still a lot of code out there that uses this and web hosts (particularly in the uk) don't seem in a rush to provide asp.net servers as standard. If it's not going to be in VS2008, is there any way it can be added in? Is there a way of doing it in VS2005??? Hi Scott - looks great. :) Does this mean that VS2008 will at last produce standards compliant HTML or do we still need to use extensions? This looks good from the outside, but I note that we are still stuck with server controls that do not really render CSS compatible HTML anyway. I have tried the CSS Friendly adapters, but quite frankly these do not do much more than present a basis from which you can create your own adapters instead. 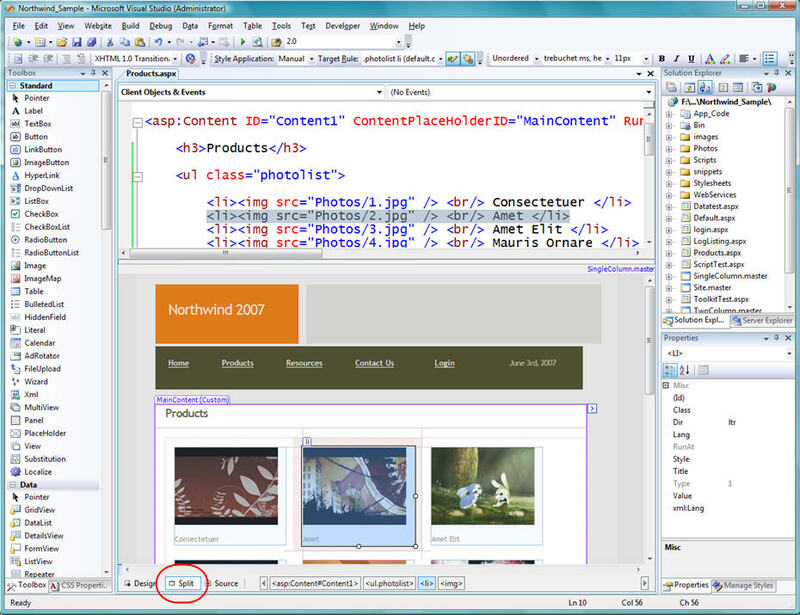 As mentioned above by Dave Murdock, a number of the controls render in-line CSS. Worse than this, controls such as the GridView, Image and Table actually render inline styles within the markup that override anything being set by CSS! When will we see an update to the base server controls, or alternatively a new set of officially supported adapters, that will enable us to render the controls in a more controlled manner and in a format this is totally adaptable with CSS? >>>>>> When will we see an update to the base server controls, or alternatively a new set of officially supported adapters, that will enable us to render the controls in a more controlled manner and in a format this is totally adaptable with CSS? This is something we are looking to enable for existing controls in the future. One of the new controls in the .NET 3.5 timeframe that you'll want to check out (and which I'll blog a lot more about soon) is the ListView control - which provides total control over the markup rendered, and works very well with CSS scenarios. Downloaded B2. It is greatness. One question though, is the new CSS tools designed to work with Themes? I have simply declared a Theme at the page level and the VS does not appear to pickup the styles I have set from this theme. Thanks! It is true. Expression Web has really been integrated into VS2008, cool! Looks like it may be able to step up to Dreamweaver for CSS development. 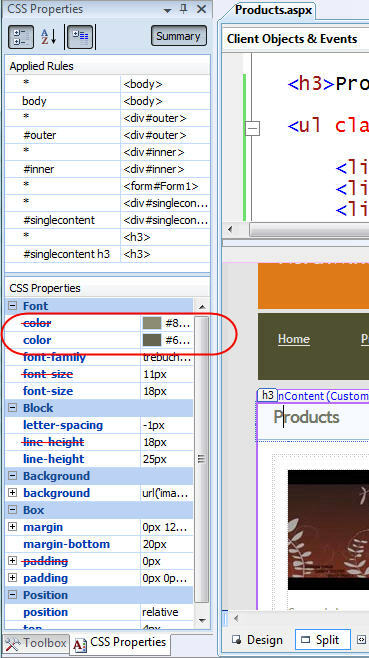 Simple things that are missing from VS2005 regarding CSS means many of us designers stuck with Dreamweaver while working on .NET projects. 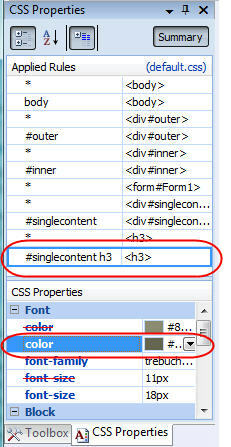 >>>Good, I see a few elements from SharePoint designer moving over here. >>>Why don't we integrate SPD and VS200(*) ? Would be nice if Sharepoint Designer(*cough Frontpage) was more friendly to work with.... then again would make sense also if each site in site collection in sharepoint didn't have it's own masterpage too unless specified as an option. If the workflows created in sharepoint designer could be reused in future applications, then that would make more sense, but why even enable the support for workflows in SPD if I can't reuse them? I vote to get rid of all the different designers and integrate them to one. I would still agree to keep InfoPath though b/c of what it does, but would be nice if the same features could be reused in a single designer(granted I don't know the complexities behind the scenes). Please? Thx to MS for adding in the web designer support in VS. Keep up the good work. If VS 2008 has all the functionality of Expression Web Design, why do we need Expression at all? I downloaded vwd express and noticed it doesn't support dwt's. Will that be supported later? >>>>> I downloaded vwd express and noticed it doesn't support dwt's. Will that be supported later? Unfortunately I don't think dwt's will be supported in this release. No .DWTs? No big loss. Someone just needs to make an Add-In that converts .DWTs into Master Pages. Oh, and while we’re at it, converts Dreamweaver’s horrible ASP.NET 1.x data access code (DreamweaverCtrls.dll MM_DataSets and DataGrids) into proper ASP.NET 2.0/3.5 DataSources and GridViews and the like. Imagine: a full DW ASP.NET 1.x Template-based site &rArr; VSWD2008 ASP.NET 3.5 migration utility! It should be quite feasible to do, and the first developer to do it will make a justly-deserved fortune! I noticed in B2 if my CSS files are in a Theme which is applied through the web.config when the Manage Styles tool window is open it does not indicate any stylesheets are attached to the page. During runtime however, this page would have the stylesheet attached. It would be helpful if the Styles Editor scanned the web.config, them folder, and local elements to determine all the styles that would be attached to a particular page. This is also true of the Design view which does not show the styles that would be applied from the theme. Great features and user friendly.